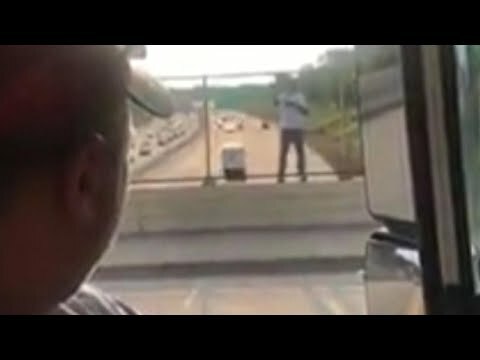 Two beer delivery men happened upon a man who seemed like he was about to take his life by jumping off a highway overpass. When pleading didn’t work, they offered him a case of beer, which seemed to do the trick. One of the men, Kwame Anderson, says after the man climbed back over the fence, he was taken away by ambulance for evaluation, but he is now home. InsideEdition.com’s Mara Montalbano (https://twitter.com/MaraMontalbano) has more.